After opening North Beach Leather in San Francisco in the late 1960s, designer Michael Hoban earned the business of Jimi Hendrix, Cher, and Mick Jagger; a late-stage, corpulent Elvis Presley asked for customized 40-inch-waist jumpsuits; Jackie Onassis placed orders. So did Eddie Murphy. Through word-of-mouth, North Beach became a beacon for leather lovers, who bought everything from sweaters to skirts. Despite his star clientele, Hoban’s lasting contribution to fashion is a result of visiting a bowling alley—and being part of the wardrobe on Seinfeld. The designer was at the lanes in 1986 when inspiration struck: Noticing the distinctive shoe sizes affixed to the back sides of bowling shoes, Hoban returned to work and designed a premium leather jacket that used the numerical stamp as a focal point for the shoulders and sleeves. Playing with the amusement motif, he also created sister designs featuring playing cards and dice. 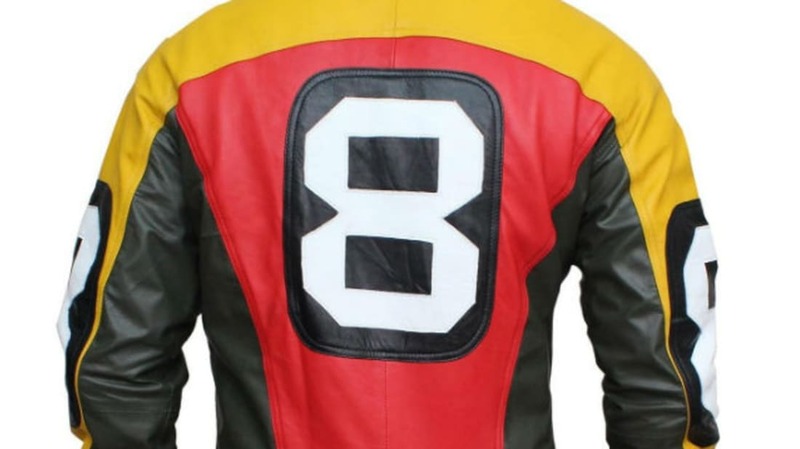 The coats sold well, but Hoban didn’t achieve pop culture immortality until 1990, when he used the eight-ball—the final ball pocketed in a game of pool—to perfect the design. Almost immediately, ambitious young adults gravitated toward the subtext (they were winners), and the $775 jackets became a fixture in music videos and on television. Hoban was doing such brisk business that he saw no reason to give any away, with one exception: Arsenio Hall, who appeared on a hit television show that was construed as free advertising. The jackets proved so popular that several murders and assaults were blamed on them in major metropolitan areas; New York City Mayor David Dinkins used some of the robberies as ammunition for his argument that crime was on the rise, petitioning for $1.8 billion to fund 9000 additional police officers. Some stores even refused to stock them, fearful it would make them a target for robberies. 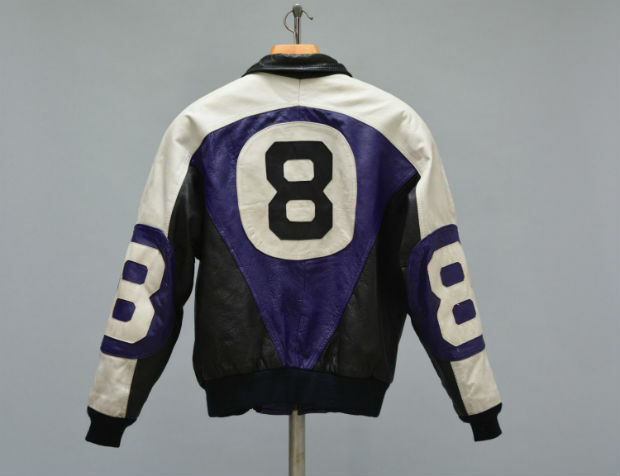 Hoban was under siege in a different way: The success of the eight-ball jacket led to an endless parade of copycat manufacturers who could sell the design for less than $300 thanks to cheaper materials and overseas labor. He was aggressive in contesting the infringement, settling out of court with eight defendants and partnering with others for “approved” knock-offs. Because of their popularity in retail and on MTV, It wasn’t long before the market was diluted and the coats lost their cache. 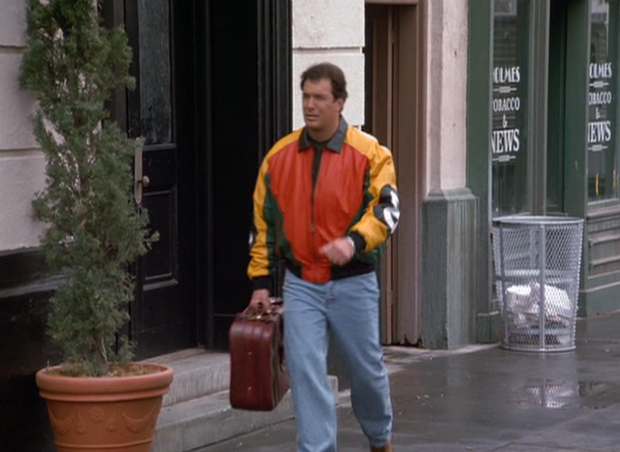 By 1998, the jacket had atrophied to become a punchline on Seinfeld, where Elaine’s boyfriend, David Puddy, wore one. Like "The Puffy Shirt," it was clothing meant to shame everyone in its proximity. North Beach closed its doors in 2002. Manufacturers like Stüssy still roll out the eight-ball design, sometimes affixing it to sneakers or T-shirts and knowing full well it’s being enjoyed ironically. Patrick Warburton, the actor who portrayed Puddy, lamented to the New York Post in 2010 that he failed to purchase his character's jacket when he had the chance.